Intensive English Program instructor William Haselton leads a class session. Photo by Marc Hall. From online plant identification courses to environmental safety training, the possibilities for non-credit, fee-based offerings through the WolfWare Outreach server are endless. WolfWare Outreach, our enterprise-level learning management system for non-credit, fee-based online courses, is a platform to offer courses on your own schedule. From training and certifications to courses for leisure, WolfWare Outreach can help you support your goals. As the semester winds down, we explored three ways programs, organizations and departments from across the university are using WolfWare Outreach. By partnering with Longwood Gardens, the Department of Horticultural Science offers three online, non-credit, fee-based plant identification courses where participants learn to identify commonly used plants, trees, shrubs and more. Longwood Gardens is one of the premier public gardens in the world, according to Lucy Bradley, associate professor and current instructor of the plant identification courses. Longwood Gardens provides technical resources for the courses including an e-book, plant fact sheets and audio files with plant names pronounced. Partnering with a prestigious organization such as Longwood Gardens has added to the stature of the program and has also helped increased enrollments, Bradley explained. “We have an active partnership in shaping the future of the program,” she added. For Bradley, the flexibility and efficiency that comes with preparing the course material ahead of time and grading at any time and from any place is an important benefit of using WolfWare Outreach. “We are able to connect with many students who are time or place bound and would not be able to participate in a traditional course,” she said. The Intensive English Program (IEP) is a full-time, non-credit program that provides pre-matriculated international students with academic, cultural and technological skills necessary to be successful in an American classroom. Associate Director Catherine Madden said, “[The IEP] provides a crucial transition period by allowing these students the time to strengthen their English skills while becoming accustomed to university academic expectations.” The IEP includes activities and programs to integrate students into the campus community and the Raleigh, North Carolina area. In addition, the IEP serves as a campus resource by collaborating with departments on initiatives and issues pertaining to effective communication with non-native English speakers. The IEP is using WolfWare Outreach for each course offered through the program, benefiting 101 students in spring 2018. Each of these students is becoming acclimated with the Moodle learning management system that they will soon be using on campus at NC State. The IEP instructors include a variety of activities students may encounter in their undergraduate courses including forums and online submissions of papers, quizzes and tests. 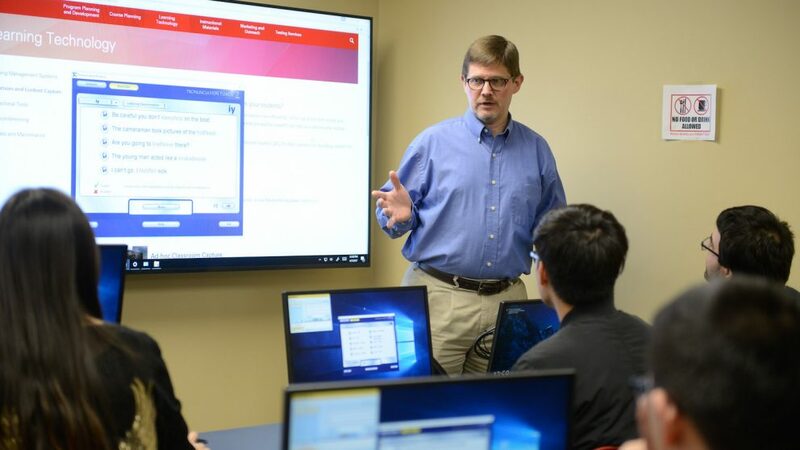 “Once our students matriculate, they find they have a concrete advantage over directly admitted international students who have never used such a learning management system (in English) before,” said Madden. One of the biggest advantages of WolfWare Outreach for the IEP instructors is in advising where IEP student advisor, Jennifer Brown Edwards, can access students’ grades during one-on-one advising meetings. “With international students, in particular, this is often the first time they have been assessed multiple times throughout a semester’s class. Therefore, it is essential students understand how each assessment affects their final grades. Moodle gradebook allow us to do that very easily,” she added. Finally, IEP instructors and administrators have remarked on the level of customer service dealing with WolfWare Outreach. “Whenever we have a question about anything, we get it answered quickly by DELTA staff,” she said. 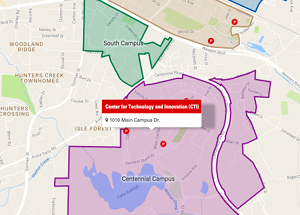 As an outreach unit of the College of Engineering, Industry Expansion Solutions (IES) has a mission to help North Carolina organizations grow, innovate and prosper, and they’re using WolfWare Outreach to help. IES uses WolfWare Outreach to offer online training options for their clients in subject areas such as hazardous waste operations, emergency response and environment safety. IES has been busy adding new courses for clients including an online customer service course that uses interactive online modules to provide scenario-based learning activities. There is also an online cybersecurity awareness toolkit built into WolfWare Outreach that provides a place for instructor-led videos, awareness videos and a compliance checklist. According to Laing and Bennett, another addition proving to be particularly beneficial for clients is a course allowing participants to go through training during a specified window of time, as opposed to having a designated day of training. They explained that participants were able to go through instructional videos at their own pace and keep up with assigned readings and assessments without having to leave their workplace. The client benefitted from less down time and a reduction of training cost, too. For IES, Laing and Bennett anticipate a growth in blended-learning courses, where participants have assignments in WolfWare Outreach prior to live instructional sessions by the IES’ technical specialists.